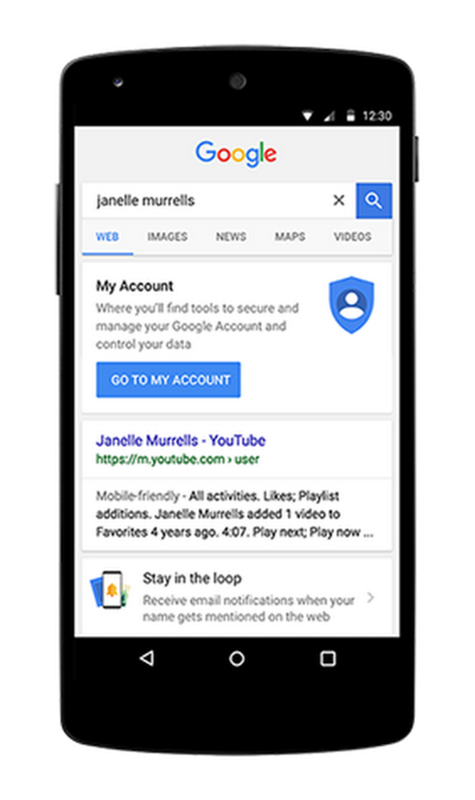 A year ago today, we launched My Account, a hub that gives you quick access to controls for safeguarding your data and protecting your privacy on Google. My Account puts privacy and security tools in one place, including long-standing features like Ads Settings and newer ones like the Privacy and Security Checkups. Collectively, these tools make it easy for you to control your privacy and security from any device. In the past year, more than one billion people around the world have used My Account. Now, on the first anniversary of its launch, we're excited to introduce three new features to easily access your controls and protect your data. We entrust our phones with some of our most personal data: texts from loved ones, family photos, work emails, bank account information, and more. In the wrong hands, that data could cause trouble. Unfortunately, millions of phones are stolen every year in the U.S. alone, and countless more are lost in taxis, cafes, and couch cushions around the world. 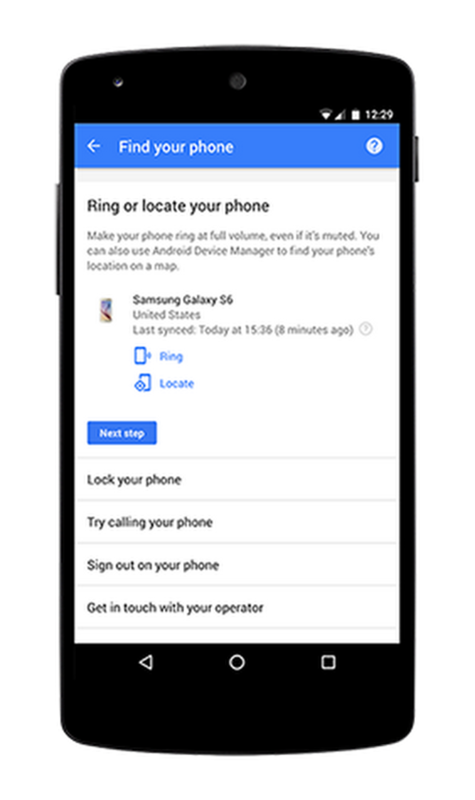 But when your phone goes missing, it’s not always easy to figure out where to start, who to call, or how to keep your information safe. 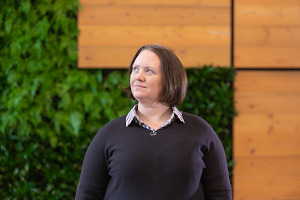 People are increasingly using their voices to navigate apps and services—for example, mobile voice searches on Google have tripled in the past two years. So, we’re making it easier to get to My Account just by using your voice. 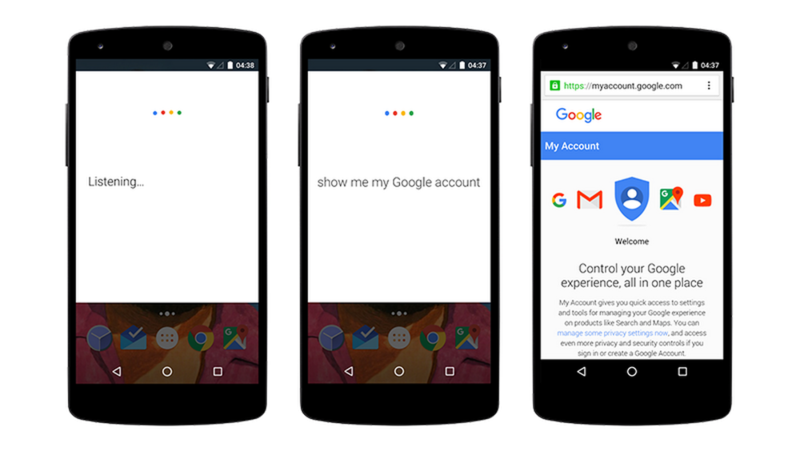 In the latest Google app you can simply say, “Ok Google, show me my Google account,” and we’ll take you right there. This is available today in English, with other languages coming soon. We’re also making it easier than ever to find My Account by searching Google. Coming soon, you’ll be able to simply search for your own name, and if you’re signed in, you’ll see a shortcut to My Account. When you entrust your data to Google, you should expect powerful security and privacy controls. These features are just the latest in our ongoing efforts to protect you and your personal information. We'll continue to make updates based on your feedback.